Biotechnologies offer breeders good opportunities for breakthrough genetic improvements of bread wheat, one of mankind’s main food crops. Since the production of the first transgenic wheat, one of the major concerns has been the removal of selective markers, first because of societal concerns about the antibiotic resistance of some of these genes, and second because removal of a selective marker was the first step toward retransformation using the same selection system. Site-directed nucleases are enzymes that cut genomic DNA in vivo at predefined sites. Among them, meganucleases cut DNA at predefined, long DNA (up to 24 nt) sites, thereby enabling single cuts on large genomes including the bread wheat genome (17 Gbp). In this paper, we describe for the first time the use of a customized meganuclease to cut wheat DNA in vivo. We show that double cuts provoked the deletion of previously inserted DNA cassettes containing the DsRed reporter gene, and that in many cases, the meganuclease target site was correctly reconstituted, offering opportunities for subsequent insertion of stacked transgenes to replace the gene of selection. 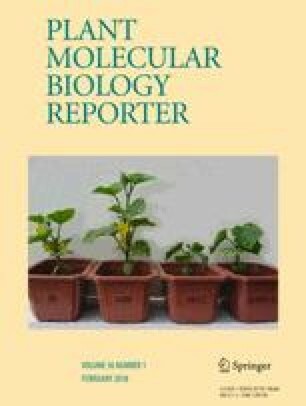 Moreover, perfect deletions were observed not only in the callus after transient expression of the meganucleases, but also in T0 transgenic wheat after stable retransformation with the meganuclease. Future prospects for the removal of selective markers and transgene stacking are discussed. D. Youssef and A. Nihou contributed equally to this work. The online version of this article ( https://doi.org/10.1007/s11105-017-1062-y) contains supplementary material, which is available to authorized users. Special thanks to the greenhouse team, especially Richard Blanc, for taking care of the plants, to David Comeau who made the landing pad vector, and to Laure Trannoy for optimal management of the GENIUS project. PB, MB, DY, and AN were involved in conceptualization; DY, AN, AP, CT, and PB contributed to the methodology; DY, AN, and AP performed the investigations; CT, WP, and PMR provided the resources; PB, DY, AN, and MB were involved in writing the original draft, and in manuscript review together with AP and CT; PB, WP, and PMR were involved in GENIUS project administration and obtaining funding. This work was supported by the program “Investments for the Future GENIUS” (grant ANR-11-BTBR-0006-GENIUS) managed by the French National Research Agency.